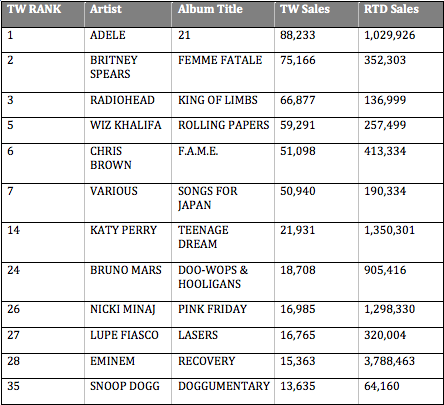 Interested to see how many albums and singles some of your favorite artists are selling? 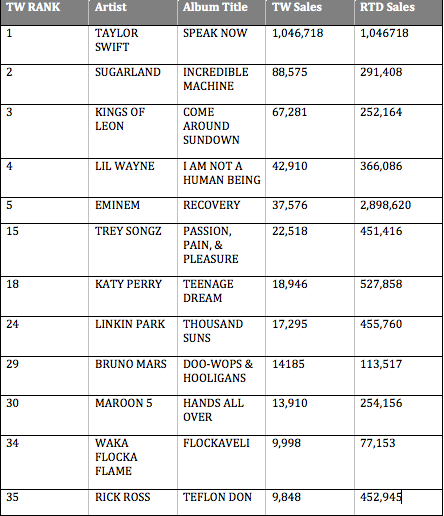 Check them out here… Again, this is an excerpt that lists a few popular artists including their rank (TW RANK), last week’s sales (TW SALES), and their sales from release to date (RTD SALES). This is for the week ending 06/12/2011. 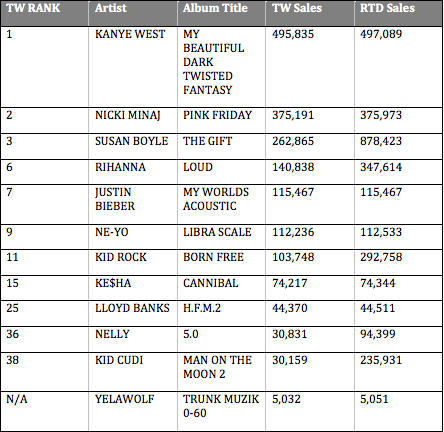 Single sales after the break. Interested to see how many albums some of your favorite artists are selling? 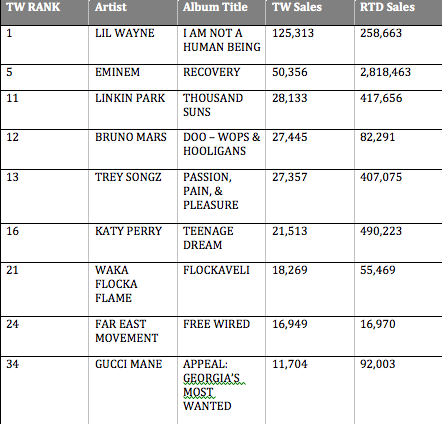 Check them out here… Again, this is an excerpt that lists a few popular artists including their rank (TW RANK), last week’s sales (TW SALES), and their sales from release to date (RTD SALES). This is for the week ending 04/10/2011. Several new releases over the past few weeks including Kanye West, Nicki Minaj, Rihann, Ke$ha, Lloyd Banks, KiD CuDi, Nelly, etc. 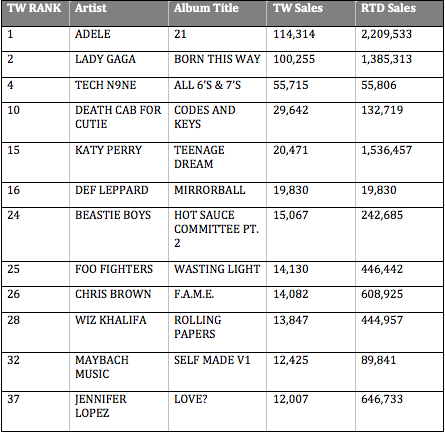 Again, this is an excerpt that lists a few popular artists including their rank (TW RANK), last week’s sales (TW SALES), and their sales from release to date (RTD SALES). This is for the week ending 10/31/10.